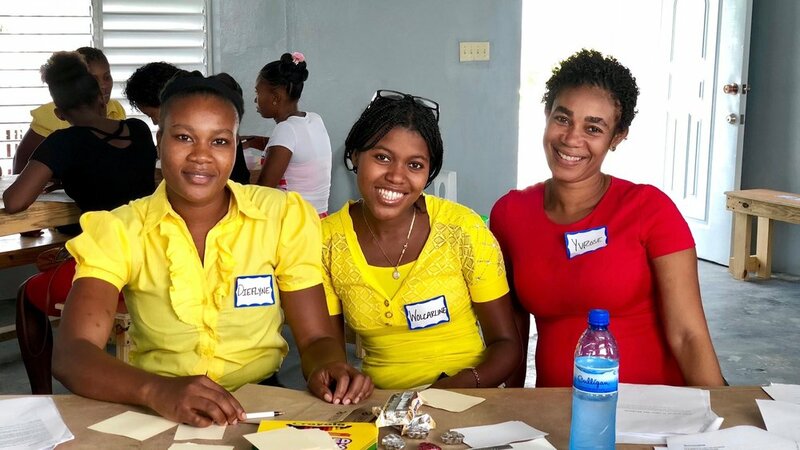 Check out what’s happening at Campus 1 and 2 in Haiti! The first two phases of construction at Campus One have been completed. Our next step is to build a Guest House and Lounge facility for short-term serving teams. Our Building Committee is currently finalizing plans for this new facility. Our initial facility will house up to twelve team members. It will also serve as a meeting space for our Haitian staff. In the future, we will add a second addition to the facility which will increase occupancy to 18 team members, as well as, create private space for mid-term missionaries who are serving on 1-3 month trips. In order to reach more students, we are multiplying into a new community and building our second school. The first phase of construction will include infrastructure projects (electricity, deep water well, and a security enclosure), a kitchen, bathroom facility, and our first classroom building. Our second campus is located approximately 10 miles from our first campus. The campus two location will reach a completely new community in the Central Plateau region of Haiti. This region in Haiti is one of the poorest, least educated regions in the entire country. There is great opportunity here for impact and improvement in the name of Jesus! Approximately two acres of land has been purchased and titled in our Haitian organization’s name. Ground breaking on the security enclosure took place in January 2019. Construction of our Classroom Building is launching in April 2019. We will also be building a Kitchen, Bathroom, Deep Water Well, and Electrical Power System this summer. Through an increased emphasis on leadership training, we have been preparing our staff for multiplication for the last two years. Our current Assistant Principal, Dieflyne, will become the Principal at our second campus. Greg, our Country Director, will over see both campuses and serve as the Superintendent for our schools in Haiti. A central admin staff will resource and empower both campuses and staff teams to lead their campus’s day-to-day operations.